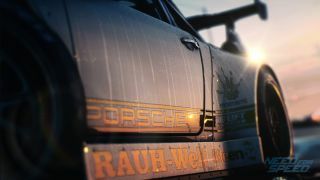 Need for Speed video shows five ways to earn "rep"
In the new Need for Speed reboot, money isn't everything. You also need reputation, or as the woman in this trailer keeps calling it, "rep" (or as EA styles it in this blog post, "REP"). Rep is how you attract the attention of real-world car celebs like Magnus Walker and Risky Devil, and also unlock new events and cars. You gather rep for five different activities, each of which has a conveniently snappy one-word label: speed, style, build, crew, and outlaw. You can focus on taking part in drift contests to get style rep, or use the "most authentic car modification in Need for Speed history" to get a reputation for building. If you drive really fast, with a few drifts thrown in, in a car you modified yourself, with your crew, and there are cops chasing you, you'll get rep in all five categories. The Need for Speed reboot is out in November, and can't be played offline. It does feature some very pretty urban nighttime settings, though.